Description: In a recent USA Today survey people were asked what would be the one question they could ask God. Over 80% responded that they wanted to ask God, "What is your will for my life? What is my purpose?" Even in the church, many long time Christians still struggle with the idea of "God's Will" and purposes for their life. Does He have a specific will for me and if so, How can I know it.? God's will is one of those spiritual principles that we have made a lot more complicated than it should be. The Bible is very clear and even direct when it comes to God's will, even His personal will for our lives. The problem is not in the discovery, the problem is in the application. Join us as we look at Romans 12:2 and not only discover what God's will is for each one of us, but also why it is so important that we live it out - experience it! In a recent USA Today survey people were asked what would be the one question they could ask God. Over 80% responded that they wanted to ask God, "What is your will for my life? What is my purpose?" Even in the church, many long time Christians still struggle with the idea of "God's Will" and purposes for their life. Does He have a specific will for me and if so, How can I know it.? God's will is one of those spiritual principles that we have made a lot more complicated than it should be. The Bible is very clear and even direct when it comes to God's will, even His personal will for our lives. The problem is not in the discovery, the problem is in the application. 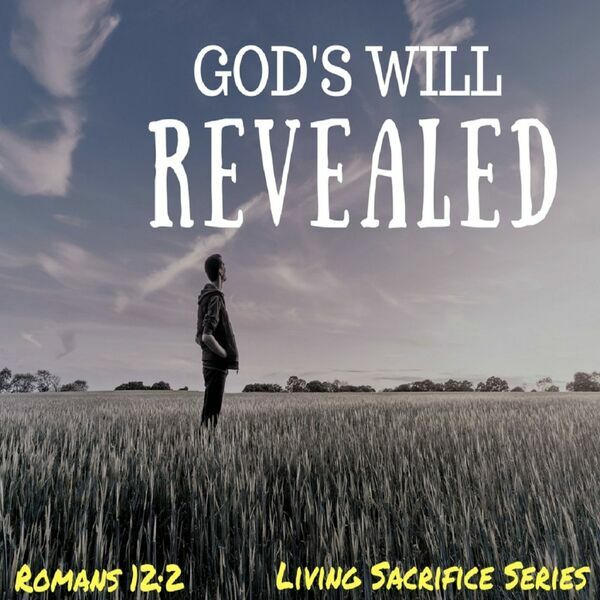 Join us as we look at Romans 12:2 and not only discover what God's will is for each one of us, but also why it is so important that we live it out - experience it!